Wait for around six months before starting solid food. Babies who are given solid food too soon are more likely to be overweight. Babies who are given solid food too soon are more likely to be overweight. In the first six months, babies get all the nutrients they need from breast milk or infant formula. 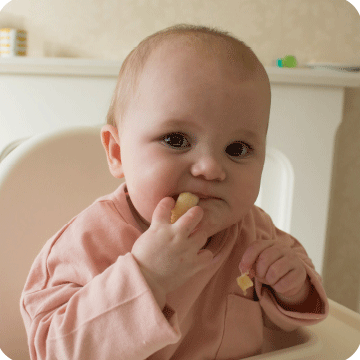 Wait until your baby is around six months old before giving them solid foods. Until then, their digestive system isn’t fully developed. Introducing foods other than milk too soon can upset their tummies and may increase the risk of conditions like asthma or eczema. 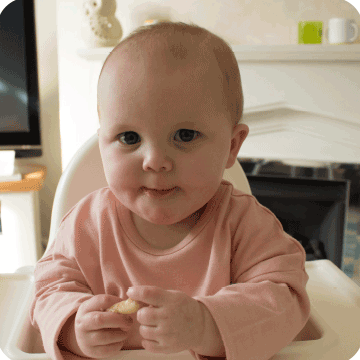 Every baby is different but there are three signs which show your baby is ready for their first solid foods. At around six months, look for signs your baby's ready. 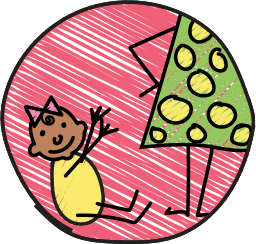 Can your baby hold their head up and sit well when supported? 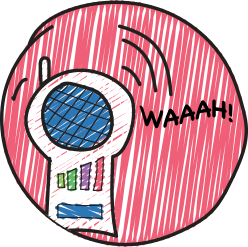 Can your baby look at an object, pick it up and bring it up to their mouth by themselves? 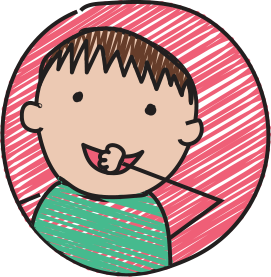 Can your baby swallow food without pushing the food back out with their tongue? Yes to all three - your baby is ready to try solid foods alongside milk. No to one or more - your baby isn't ready yet. 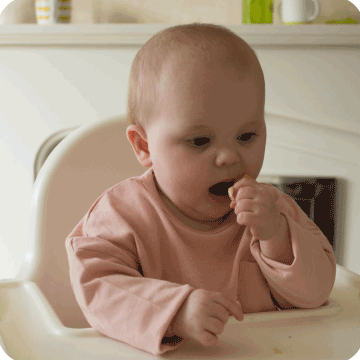 Some people think these are signs that your baby is ready for solid foods. They aren’t. If you think your baby is ready before six months, speak to your health visitor. Waking in the night when they have been sleeping through. This is normal and part of a baby’s development. It doesn’t necessarily mean they are hungry, or ready to start solid food. Sometimes a little extra milk will help until they are ready for food. 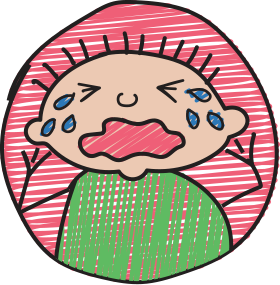 It’s best not to use food to stop your baby crying. Babies can learn to use food as a comforter. Lots of cuddles are better.